I love orchids. I love orchids a lot. I have been growing them for about forty years. Back then, when I first started growing them, I lived in an apartment on the 21st floor of a building at 8th and 8th in downtown Calgary. It had a massive amount of Windows on the south and west side of the building. I had so many house plants it was crazy. If I recall correctly, there were 65. 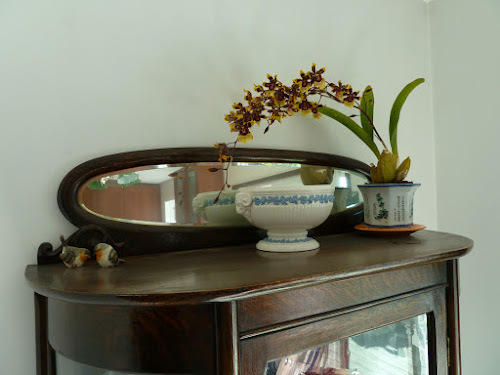 Then I added orchids. They were not nearly as easy to find as they are now. Every florist, grocery store and Costco has them. So much easier. I had to order mine from a company in Florida called Jones and Scully. 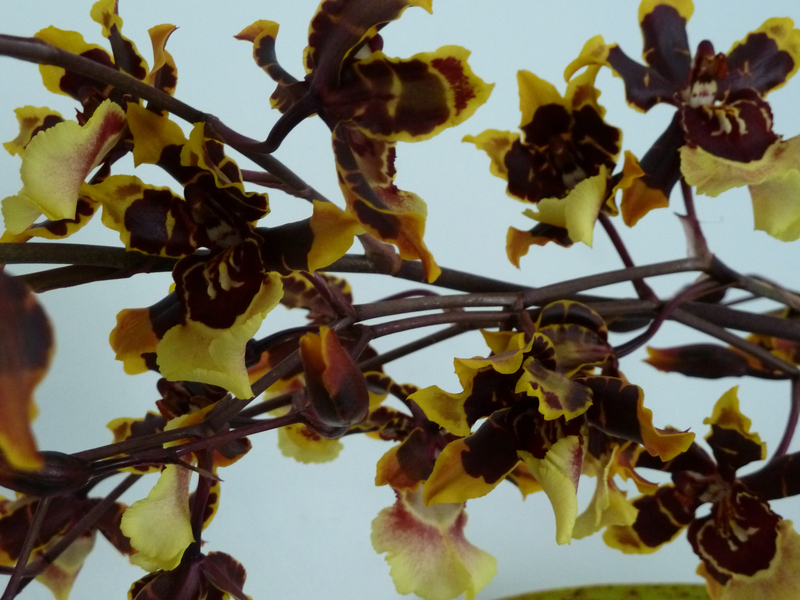 This is an orchid that a friend had, that had finished flowering and she asked if I wanted it....ummmmm yeah!!! That was two years ago. I got a few flowers last year but this year...well look for yourself. This is an Oncidium, variety unknown. 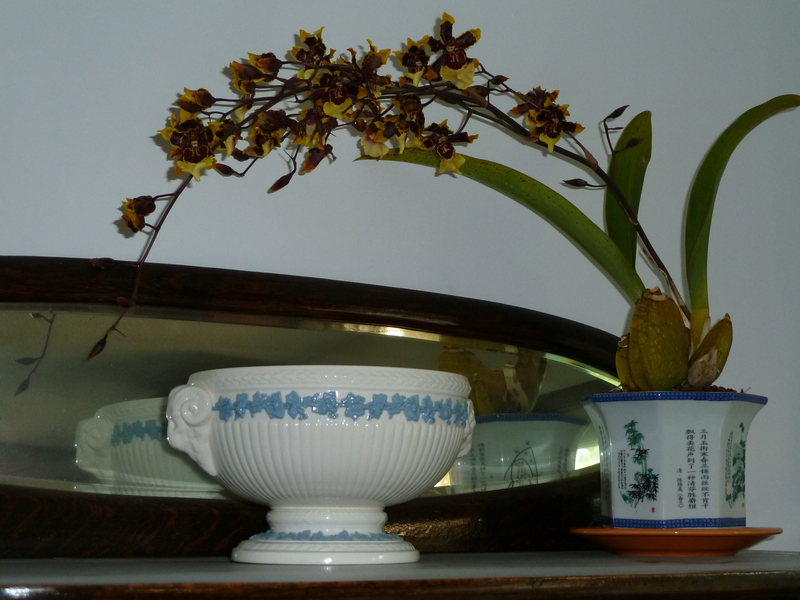 I know you can't see very much of that gorgeous china cabinet the orchid is on, but I love it so very much. My great-grandmother had it made in 1906. I was lucky enough to be gifted this incredible piece that I had admired for years. The original bill of sale is at my parents house. I need to find it. I will post more pictures of orchids as they bloom.